The use of salt in Wicca and Hoodoo practices is a very old tradition. In ancient Egypt, salt was considered a sacred product offered to the gods. In addition, salt was used for embalming royalties. In Rome, salt is a symbol of wisdom and is used in rituals of baptism. During the Middle Ages, it was used to ward off evil spirits. People were putting salt in the chimneys of houses to prevent demons from entering. There are different types of salts and each type has its specific magical abilities. In this article, we shall look at the different types of salt and their uses in rituals. The white salt usually come as kosher, coarse and table salt. They are often very affordable and can be found in stores around. The white salt is an all-purpose salt which can be added to meals, spells, and other ritual workings. It is also used for banishing, protection, healing and absorbing negativity. This salt is usually composed of cauldron scrapings, charcoal and salt. It is mostly used for defensive workings because it creates a protective barrier. It can also be used in banishment and hex breaking rituals. 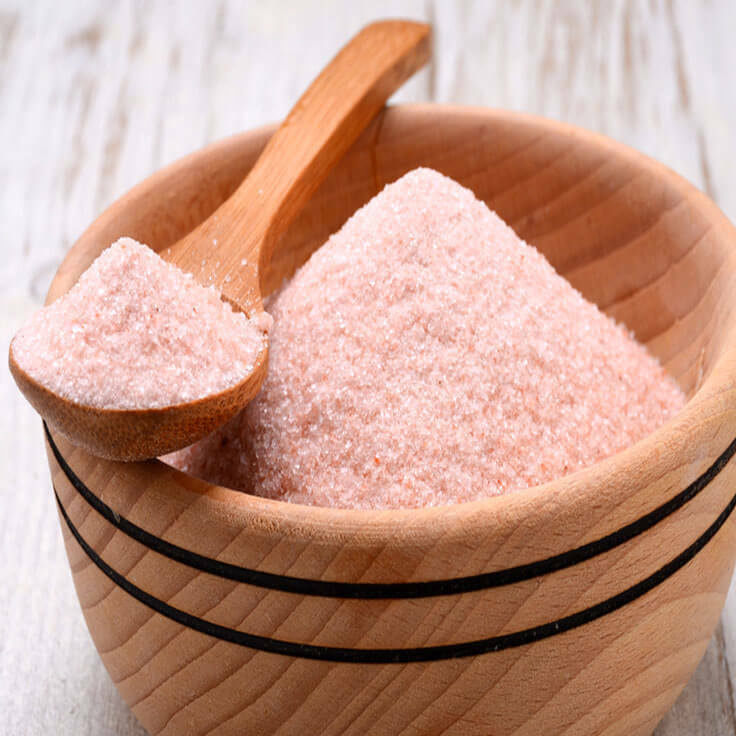 Have you heard of the Pink Himalayan salt? This substance is a rock salt from the Punjab region in Pakistan. It is rich in Iron, Magnesium, Phosphorus, Calcium and Chloride. In ritual workings, this salt is used for cleansing and healing. When performing rituals involving seas, ocean, lakes and rivers, the sea salt is a common ingredient used as offerings to the water spirits. Yellow salt: It is a type of salt used for the invocation of spirits, and in rituals to attract money. Blue salt: It is often used mixed with other elements in rituals to accelerate someone’s healing or to appease and reassure. Red salt: A mixture of sea salt with sediments of volcanic clay. It is used in rituals and baths of love, passion and sexual attraction. 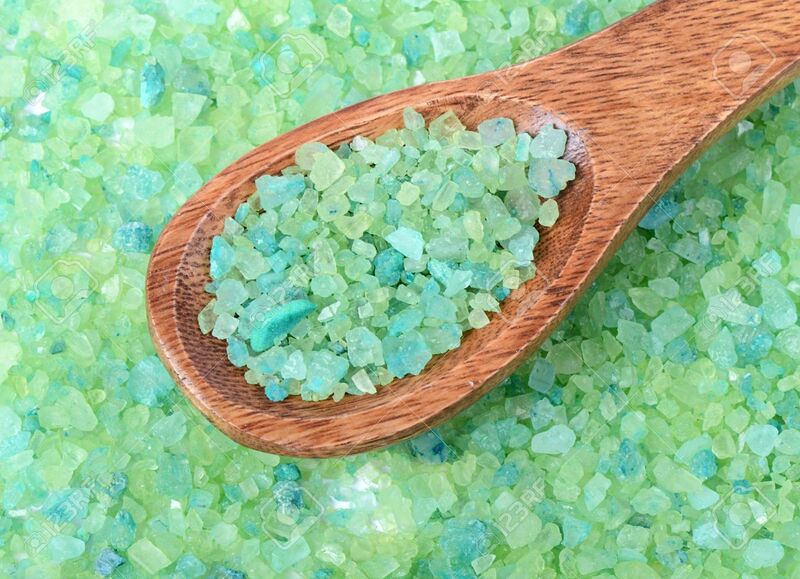 Green salt: Composed of ammonium platinum chloride, is used in baths and rituals of love, to achieve loyalty and fidelity. Violet salt: is a special sea salt that is used in rituals of dominion, and in baths to dominate a person. Take a pinch of consecrated salt and spray it at the threshold of your house to banish negative entities from your environment. Also, it will keep away people with bad intentions from your home. Put some salt into your pocket before going for a job interview or while going for an examination. It will banish ill luck and bring you good luck. When you return home after a busy day, you can put some salt and soap on a washcloth. Scrub your feet and body with this mixture to remove the harmful vibrations accumulated throughout the day. If you want more money, place some salt, laurel, rosemary in a cloth pouch at the entrance to your apartment or home. You can also place it at the entrance to your workplace or store to attract customers. If you are being haunted by evil entities that prevent you from sleeping at night, surround your bed with a thin layer of salt. This layer will protect you from negative energies and grant you cool sleep. Get a photograph of yourself and place it on a flat red and clean surface. Spray concentrated coarse salt around the picture and leave it there for a week. On a daily basis, add a pinch of salt to the circle while meditating on your intention to drive away envy from your life. After seven days, throw the salt into a drain and store the photograph on your bedside table. On a waning moon night, fill a glass cup with fine alcohol and dilute a spoonful of fine, consecrated salt. On a 7cm x 7cm white paper, write the name of your enemy in red ink, fold it into three and place it inside the jar. Then close and leave it for seven days. After the last day, burn the paper and throw the ashes and liquid into a stream.